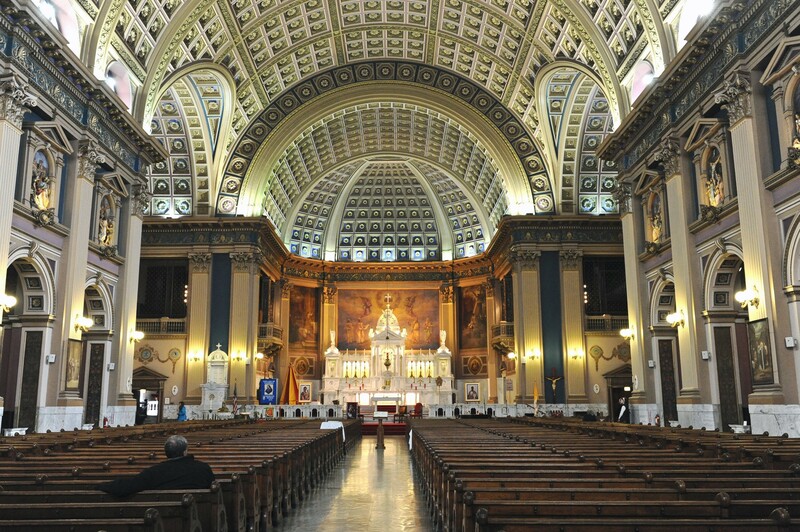 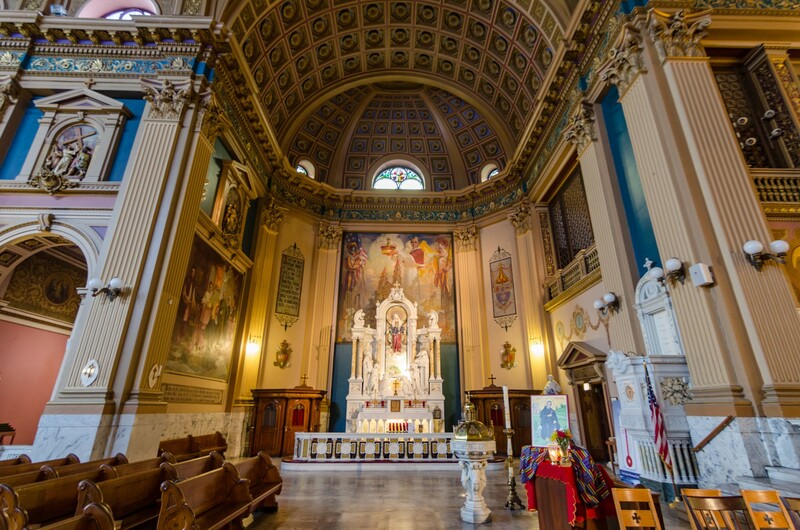 As one of Chicago's three basilicas, Our Lady of Sorrows has an important status in the Catholic Church - and may be the grandest church in the whole city. 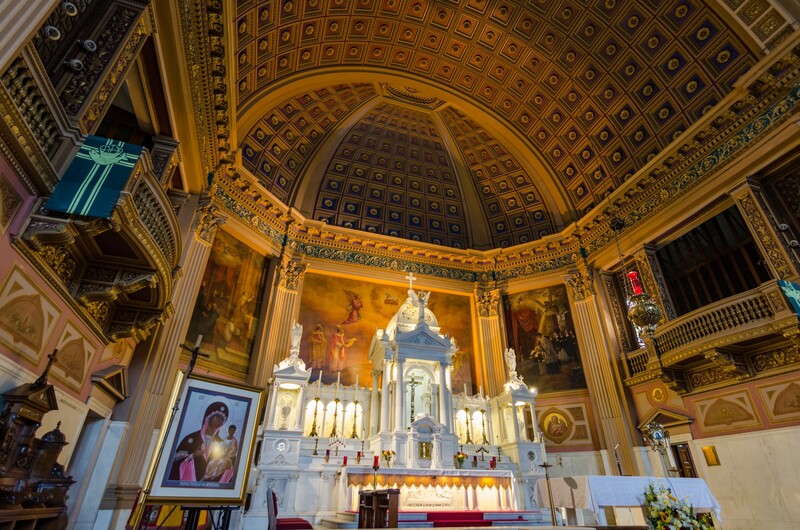 Our Lady of Sorrows seats 1,200 people beneath a soaring, barrel-vaulted coffered dome that rises 80 feet from the marble floor. 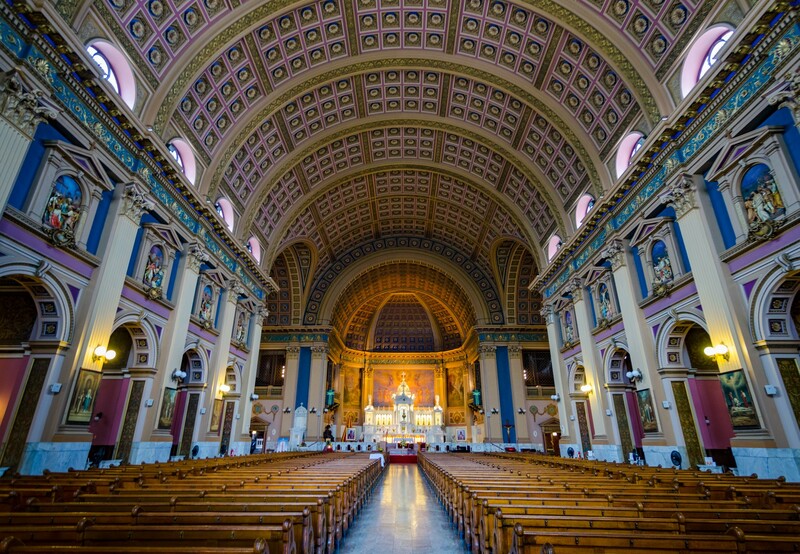 The nave is 65 feet wide and features more than 1,100 ornate gold-leaf panels. 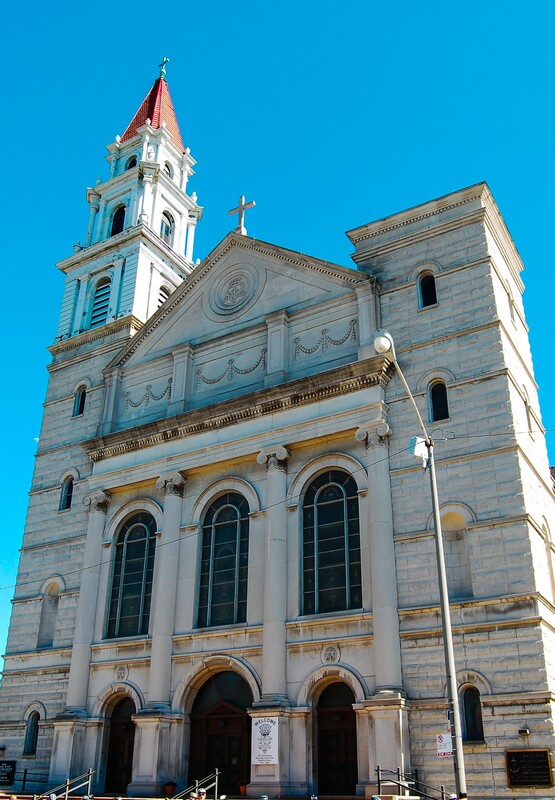 An English Baroque style steeple turns this Renaissance-Revival church into a local landmark. 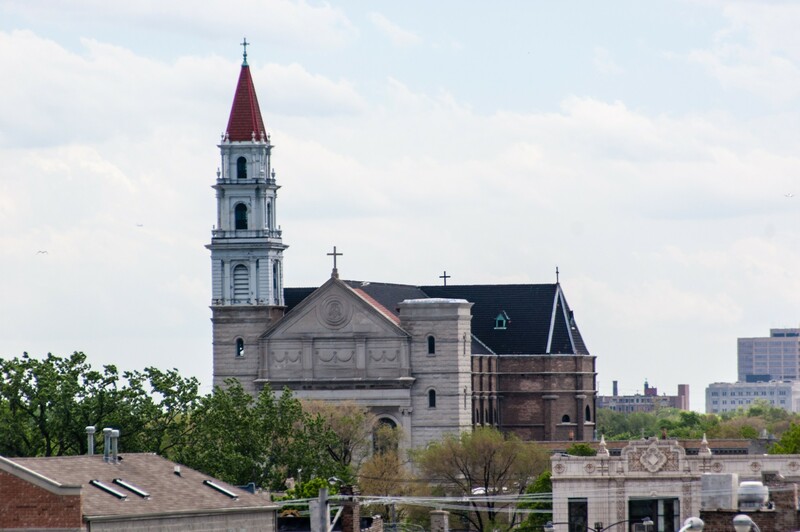 It once had a twin steeple that was destroyed by lightning.